Providing printscreens or screen captures is probably one of the easiest way to discuss, understand and deliver any information over the Internet. 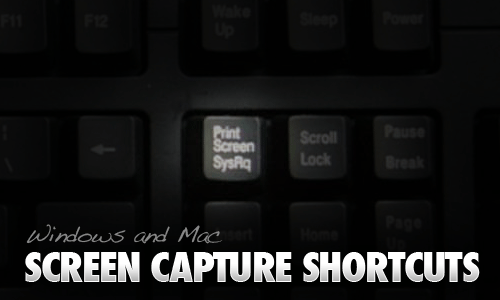 Major operating systems like Windows and MacOSX comes with default keyboard shortcuts to perform screen capturing, but are you using them to the fullest? By default, there isnt too much option in doing screen capture but enough to get the basic job done. Here are the keyboard shortcuts to do screen capture (printscreen) in Windows. PrtScn – The Print Screen button will save the entire screen in clipboard. You will then need to further edit it in some image editing programs or Microsoft Words.